The Maine Lakes & Mountains, a region famous for its’ four seasons of recreational attractions, boasts some of Maine’s highest peaks in the Bigelow Range and Mahoosuc Mountains. Dotted with hundreds of glacial lakes, it offers some of the state’s largest including Sebago Lake, Flagstaff Lake, and the Rangeley Lakes Chain which encompasses over 110 lakes and ponds. Sporting activities are first class and feature fishing, canoeing & kayaking, camping, biking, hiking along the Appalachian Trail, moose, loon, and wildlife watching, golf, fall foliage touring, hunting, cross country and alpine skiing, and snowmobiling. Maine Event highlights the Great Falls Balloon Festival, Fryeburg Fair, Ski Fest and Snodeo. To see maps of: Androscoggin County and all towns & cities in the county, click here; Franklin County and all towns & cities in the county, click here; Oxford County and all towns & cities in the county, click here. Rumford, Maine (Oxford County): January: 27.2 to 5.8, April: 52.3 to 31.2, July: 79.6 to 56.4, October: 57.5 to 36.6. Mountainous region with some of Maine’s highest peaks in the Bigelow Range and Mahoosuc Mountains. 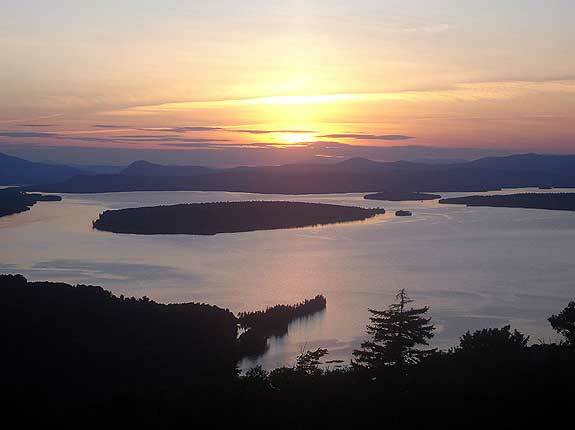 Lakes in the region include Sebago Lake (2nd largest in the state), Flagstaff Lake (4th largest in the state), and the Rangeley Lakes Chain which encompasses over 110 lakes and ponds. South Paris: McLaughlin Foundation Perennial Gardens & Horticulture Center. Biking, Hiking (Appalachian Trail), Canoeing & Kayaking, Freshwater Fishing for Salmon and Trout (Rangeley Lakes, Sebago Lake), Moose Watching Safaris, Downhill & Cross Country Skiing, and Snowmobiling.